‘Bear grip’ twin hooks at every locking point for increased resistance against attack. 11am steel hook penetration for maximum security. 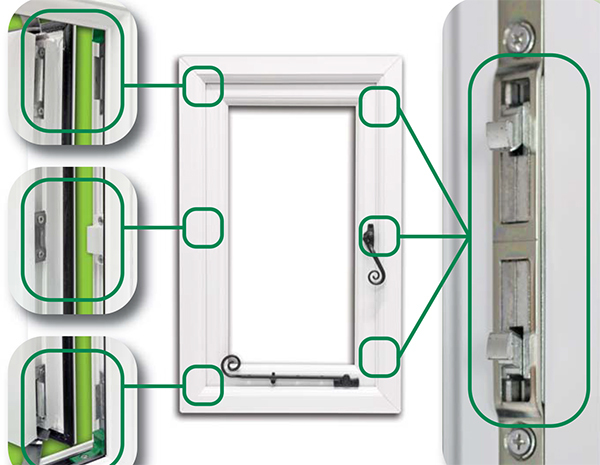 Lock designed based on multi-point door lock technology. Covered by the ERA Security Guarantee for 10 years. High security hinge bolts fitted as standard. 3 high security hooks with 10mm engagemnt into one piece high security keep. High security hooks are deadlocked in fully thrown position. Precision adjustable rollers for smooth locking operations and enhanced weather sealing. Shootbolt top and bottom on French doors. Covered by the ERA Security Guarantee for 10 years*. 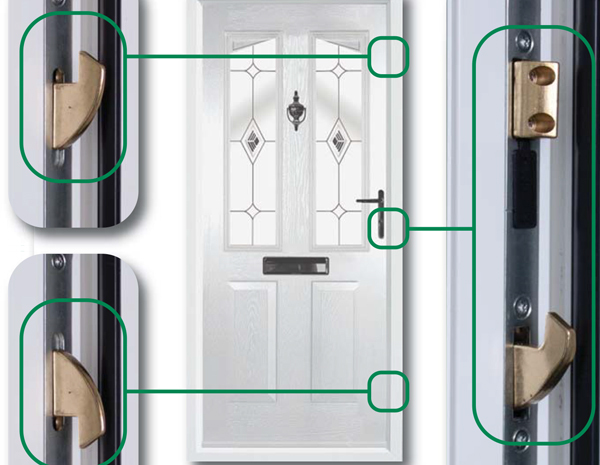 You can now provide your customers benefits worth up to £5,000 by simply installing doors or windows with the ERA Five Star Guarantee. The Five Star Guarantee includes a FREE call out service that operates 24 hours a day, 365 days a year to secure a customers’ property if they are broken into, no questions asked. ERA will cover the excess on any home insurance claim due to the failure of one of our products. ERA will also pay up to £1,000 towards the cost of repairing or replacing the window or door that’s been compromised. In the unlikely event of a break-in succeeding through the failure of a Five Star Guaranteed product, ERA will compensate the customer for the inconvenience by giving them a cheque for £1,000. And all this cost you – the installer – nothing!